Our specialist team of Solicitors are based at our head office which is located at 1 Victoria Square, Birmingham B1 1BD. We have also opened an office in London where we can meet clients at at 5 Chancery Lane, London, WC2A 1LG. As a law firm with a national coverage, we are strategically based in the heart of Birmingham City Centre, so that our clients have easy access to our office via rail, road and other public transport. Victoria Square is a pedestrianised public square and is often considered to be the centre of Birmingham. Our office is located directly opposite Birmingham Town Hall, the Council House and close to Chamberlain Square. At Christmas, Victoria Square is the centrepiece for the Frankfurt Christmas Market and Craft Fair with the official Christmas Tree for Birmingham, standing directly opposite our office. If you are travelling to Kang & Co Solicitors via rail, Birmingham New Street Railway Station (Grand Central Birmingham) is a 2-minute walk from our office. 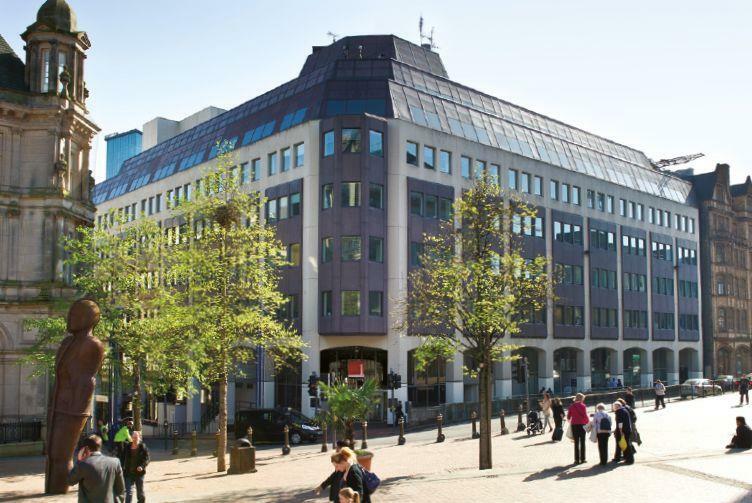 When leaving Birmingham New Street train station, leave via the exit on Navigation Street and then walk up Hill Street towards the Council House, our office is on the left-hand side when walking North up Hill Street. There are regular direct trains from Tamworth, Sutton Coldfield, Walsall and London into Birmingham New Street train station, therefore travelling to our office via rail is always fast and convenient. You can book you rail tickets via Trainline. If you are driving into our office, there are multiple routes you can take into Birmingham City Centre, depending on where you are travelling from. Please ensure that you leave sufficient time to account for traffic congestion, road diversions and parking. Other local car parks can be found by using Parkopedia. As our office is based in the heart of Birmingham city centre, there are regular bus services to the city centre, you can use the National Express West Midlands ‘Plan Your Journey’ tool to plan an efficient and convenient to our office. Kang & Co is a specialist boutique law firm, we provide specialist legal services to both businesses and individuals. Our office is situated in Birmingham city centre so that it is convenient for clients travelling by all forms of public transport, as well as by car. Our solicitors are specialists in Driving Offences, Road Transport Law, Criminal Law and Licensing Law. We are well-known for our work in Driving Offences & Road Transport Law as we have built up a reputation for robust representation of individuals and companies. Kang & Co driving offences solicitors in Birmingham can provide legal representation not only for driving offences committed in Birmingham city centre, but anywhere in the Midlands or England and Wales. All our solicitors and barristers have years of experience and an outstanding record in all types of motoring offences such as in cases involving death by dangerous driving, death by careless driving and driving without insurance. If you require expert advice on driving offences such as failing to provide driver information, careless driving, dangerous driving speeding or other offences where you are at risk of a driving ban, contact our team for a free initial consultation about your case. If you are being prosecuted for a criminal law offence we can provide you with criminal defence legal representation in Birmingham and throughout the Midlands. We provide our criminal defence services on a fixed fee basis so there is certainty over the legal costs of defending your case and no unexpected surprises. You can also send us a message about your case via our enquiry form below and one of our solicitors will contact you within 24 hours.